It’s the same as it ever was… and that’s ok. The Oasis still has one of the best restaurant views of an Austin sunset. 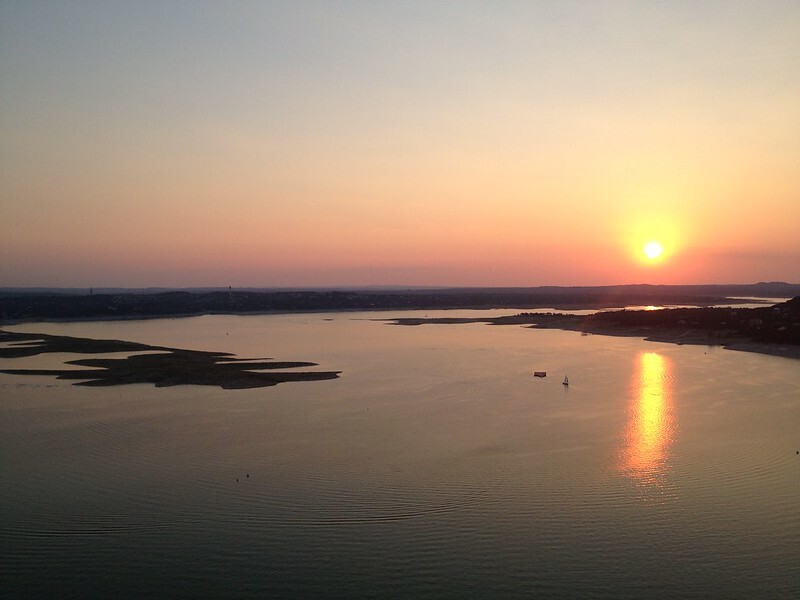 It’s over Lake Travis and it’s just gorgeous. Peaceful, and relaxing and everything that is right in life. The view, I mean. I was irritated on Sunday night when Cass and I took the drive out to The Oasis for Sunday Salsa Night. The video pretty much explains it all. It was a one-thing-after-another kind of night with the service. The vibe I get is “We’ve got this amazing view… aaand you don’t have a lot of choices.” Doh! Until then, I still recommend checking out The Oasis when living in, working in, or traveling through Austin,TX. The sunset is spectacular. Breathe it in. Take lots of pictures and then go get ice cream afterwards like we did. Are you one Facebook? Me too! Check out JenTravels on Facebook. There are some things that I can always count on to make me smile… a sale on summer dresses, Amy’s Ice Cream and Mark Walberg. Though I am very much a creature of habit, I always try at least 2 new flavors from the eclectic array at Amy’s. And then- I order what I have always ordered… Mexican Vanilla with Fresh Strawberries. You can tell the kids working here like their job and even take pride in giving warm Austin welcomes to customers as they ask about and try- a million different flavors before settling on their custom-made, fabulous creation for the day. From light yogurt to decadent toppings, Amy’s Ice Cream makes everyone happy. And that’s why it’s on my “Must Do” list when vacationing, traveling through or living in Austin, TX.